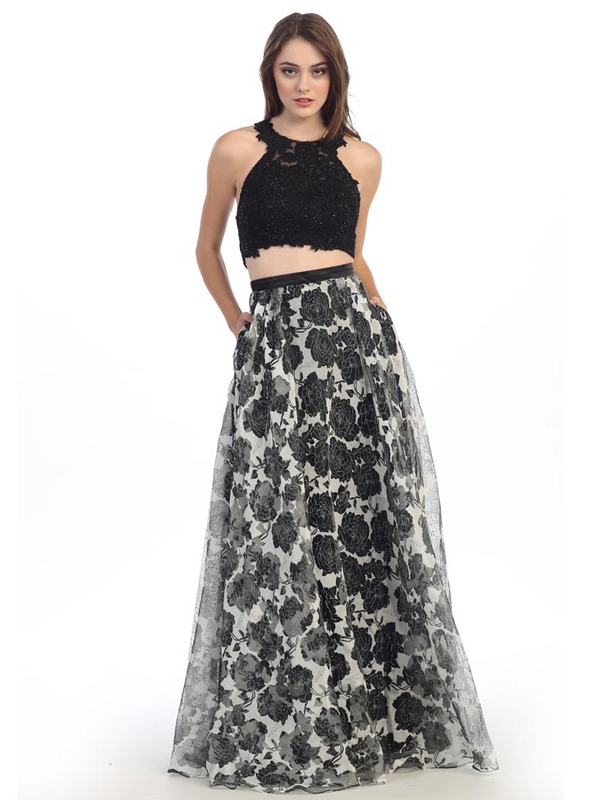 Two Piece Floral Print Prom Dress | Sung Boutique L.A. 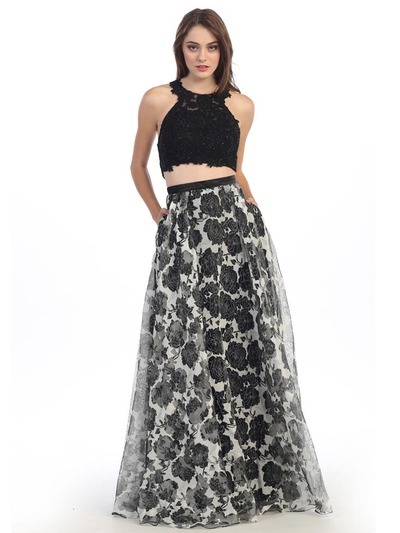 This dramatic two-piece ensemble features shimmery beadwork on the sleek cropped bodice that tastefully reveals a bit of skin. Then completed with a floral print mesh skirt that flares into a dramatic layered A-line silhouette. -Approximate 58 inches from shoulder to hem.